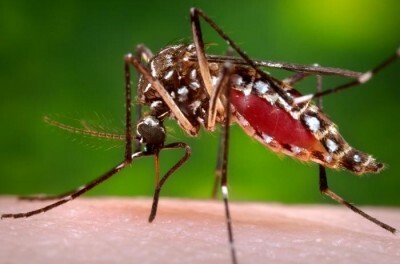 FIU researchers have been awarded $3.4 million for research to combat the Zika virus. The projects seek to undermine the transmission and impact of the disease using a variety of methods. The Herbert Wertheim College of Medicine received nearly $2 million from the Florida Department of Health to study how the Zika virus breaches the blood brain barrier (BBB) in order to invade and kill neurons and other brain cells. “We hope to find out how the virus gets into the brain, the mechanism by which it enters the cells, and then what kinds of therapies can be effective in eradicating it,” said project lead Nazira El-Hage, a professor in the department of immunology. The team, which includes Distinguished Professor Madhavan Nair, will look at using Nair’s patented nano-technology to deliver an experimental drug, Beclin1, through the nearly impermeable blood brain barrier and into the brain to try to kill the virus. Also, the Biomolecular Sciences Institute in the College of Arts, Sciences & Education received nearly $200,000 from the Florida Department of Health to expand research on mosquito genetics and $1.2 million from the Centers for Disease Control and Prevention (CDC) as part of a new multi-university center dedicated to stopping the spread of Zika and other mosquito-borne illnesses. Biologist Matthew DeGennaro, who leads these projects, studies how Aedes aegypti, the principle vector of dengue, chikungunya, and Zika, find their human and plant hosts in the hopes of identifying molecular targets in mosquitoes for better repellant design. His research team is developing new bait that could lure female mosquitoes to lay eggs in a trap that then kills all the eggs, helping to reduce mosquito populations. DeGennaro and FIU biologist Fernando Noriega are also developing a workshop to train future mosquito biologists and mosquito control specialists. The Florida Department of Health’s Zika Research Grant Initiative is focused on vaccine development, diagnostic testing, therapeutics, and health effects of Zika. The CDC grant is part of nearly $184 million in funding to support efforts to protect Americans from Zika and associated adverse health outcomes. South Florida has been called ground zero in the Zika fight. While the last Zika zone in Miami was lifted in December, scientists are quick to point out that vector-borne diseases — those transmitted by mosquitoes, ticks, sandflies and other arthropods — are always a threat, especially in South Florida’s warm and humid climate.